After the success of 2015, I'm ready to dive into 2016. After sharing all my numbers and some fun facts, I can't believe everything that happened last year. I quit my day job, moved across the country and started freelancing full time. I started a small business to help clients with Pinterest and grew my blog from 1,000 page views a month to nearly 160,000 page views in December. I also ended the year with my highest online income report to date! I have a lot of plans for 2016, so let's jump in and get started! Last year I blogged three times a week with 160+ bog posts. To be honest, I'm not sure how I did this. Between working full time, side hustling and trying to have a life, I managed to write three posts a week, with each post 600+ words. This year I plan to post twice a week, with each post between 1000-1300+ words. I am focusing on more in-depth content that really helps readers. Last year I started writing more evergreen content, and plan on doing that for most of my posts this year. When I started blogging, I mostly focused on personal finance topics. But I grew restless and wanted to expand my content. I was really worried about losing readers, but I realized that as long as I show enthusiasm and blog about what I want to blog about, my readers will understand what really excited me! Towards the end of last year, I started writing more about my journey into the freelancing world. This was a great way for readers to be with me every step of the way. I was able to share how I saved for months prior to quitting my job, my vacation to Nashville (which was secretly a trip to scout a new place to live) and then quitting my job and going for it! This year I plan to write more about the ups and downs as a freelancer. While I prefer to keep a positive attitude, I'm ok with sharing things that aren't working for me, low income reports and everything else in between. How to save with Ibotta, which is another free cell phone app. You use it after you go grocery shopping and use your receipt. It's basically a rebate app, so you can earn anywhere from 50 cents to $5 off everything you buy. My favorite part about this app is that it's not always brand specific, like a lot of coupons are. So you'll be able to scan “any brand of bread” for 50 cents off, etc. If you do coupon – you can STILL use Ibotta and get a rebate. For the diehard couponers out there, this will often result in getting an item for FREE. Crazy, right? If you want to grab the Ibotta app and start making money off your grocery receipts, click here to get started. You will receive a cash bonus of $10 when you scan your first item! I can cross this off my list! The Ultimate Resource Guide: Everything You Need to Know About Mystery Shopping and Other Side Hustles is currently available for pre-order. I spent November, December and part of January writing and promoting this guide. Writing was the easy part; editing and promoting was much harder and longer than expected. 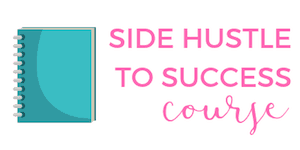 Edit: This book has been updated and has been converted into the Side Hustle To Success course. 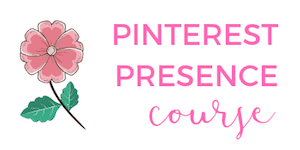 Later on this year, I plan on releasing an eCourse called Pinterest Presence. 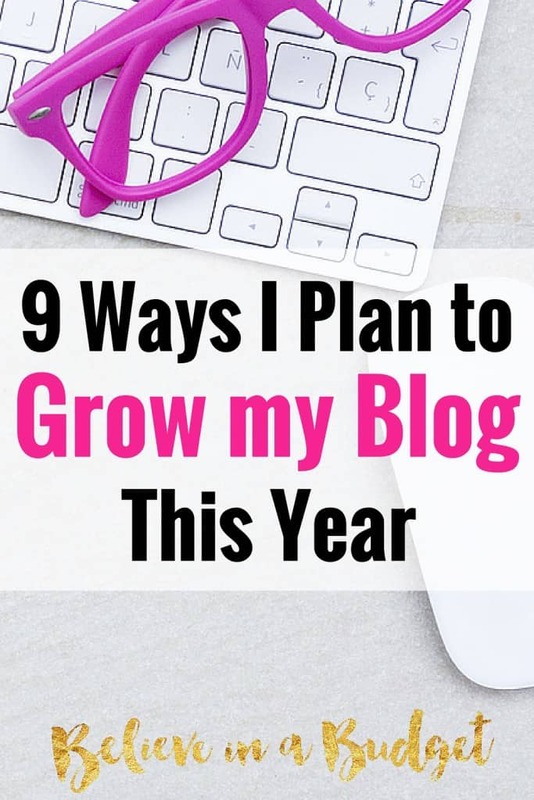 Growing my blog through Pinterest has been a game changer and I can't wait to share this! Edit: This course was published in 2016 and a game changer! Learn how to drive traffic back to your website with Pinterest Presence. Even though last year I spent almost all my free time working on my blog, it was always the last thing I did each day. I was disciplined when it came to blogging, but only had time to work on BIAB really, really late at night. First priority was making money from my day job, then freelancing and side hustling and lastly, my blog. For a while, blogging has been at the bottom of the food chain as it's brought in the least amount of income. Over the past couple months, my blog has actually started making money, so it's time to shift some of my priorities around. 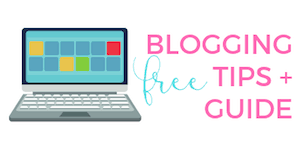 It's time to start treating my blog more like I treat one of my clients. I've created a weekly and monthly plan on what I would like to accomplish, and schedule in time each work day to get things done. Last year I did everything myself. I've always been a big believer in the phrase “If you want something done right, do it yourself.” Part of this stems from previous experience (not related to blogging) where I haven't been satisfied from work done by others. I work really hard, and expect people around me to do the same. I get really frustrated when I pay for something to be done, and it takes longer than expected or turns out I could have done a better job myself. Luckily, I've been really happy with the help I've been receiving to run my business. I made the decision to seek out help for a few things related to my blog and couldn't be happier. First, I found a business coach to create a plan for everything I want to achieve. Some people don't see the value in this, but it's been life changing for me. I've reaped all the benefits of a business coach and am considerably further ahead than I thought I would be when it comes to blogging. Next, I found VA help with specific things that I don't have time for when it comes to blogging. It's been such a time saver to ask for help and allows me to focus on things that help me make money. I still have a tight budget and a DIY mindset, but am slowly easing into this. It's hard to part with my hard earned money, but I know in the long run this is necessary if I want to grow. This is a personal goal that needs to happen. As a freelancer, there is no reason I can't hop around more. Last year, I only took two vacations. My day job was exhausting and time consuming, making it really hard to go on vacation. My goal has always been to be location independent and this is my favorite perk as a freelancer. 2016 is going to be the year of traveling more. While some of my overall 2016 goals can be tied into my first quarter goals, I have a few things I am focusing on for the next few months. I still haven't found my perfect work schedule. My golden hours are early in the morning and late at night, which probably isn't the best work schedule. I like to make myself available to clients during the normal work day, and then focus on personal and blogging before and after these hours. But that makes for a really long work day! As a freelancer, I get that I can work anytime I want, but I need to learn how to focus better in the afternoons. I've tried coffee, a change of work scenary (going to coffee shops instead of working from home) and nothing is working. It's like I get ADD between the hours of 1pm to 5pm and get really restless. Anyone have any tips? This is a personal goal, but crosses over into my work life. Sitting down all day is not the best! I've started working out in the afternoon (see above reason) and I like it, but not really sure that's the best time to be working out. I like going at this time, because I can digest the work day and clear my mind. I also brainstorm really well during this time, so I'm trying to decide if I should stick with this or change things up. When I first started blogging, I read a long list of my favorite blogs religiously. Over the past couple months, I've been short on time and haven't had a chance to read as much. I cringe everytime I head over to Feedly and see how behind I am on my reading list. Now that I am done writing The Ultimate Resource Guide, I should have some extra time back in my schedule. Reading other blogs is one of my favorite things to do and I need to get back to this. Aside from reading other blogs, I need to start reading more in general. I have a short pile of blog related books, but I need to read some books outside of work, and have more balance. I have a huge stack of magazines that are piling up, and miss going into Barnes and Nobles and perusing the aisles. Deleted my work emails off my cell phone. The constant pinging sound on my cell phone was creating constant anxiety and the need to answer every email ASAP. Since deleting this, I feel so much better! Set up available work hours in my email signature. This lets clients know my availability, and takes the pressure off from feeling the need to work around the clock. It's also a big reminder for myself that there are 8 hours in a typical workday, and I don't have to feel obligated to answer emails 24/7. If I'm having fun with friends and family, the cell phone is put away. I need to live in the moment and focus on what's in front of me. Create a work zone I can walk away from each day. I have a small home office nook that I use daily. I like going through the motions of shutting down each day, even if it's only walking a few feet away from my work space. There is so much excitement happening right now! I like that my goals are attainable, and aren't solely focused on numbers and exact results. I definitely recognize that this year I need to create a better work-life balance and hopefully everything will fall into place. What are you working on this year? What kind of goals do you have? Yay Gloria! Congrats on starting a blog! Love your progress! I totally hear you about being ADD and having a hard time disconnecting. Still trying to find my perfect schedule and get more me-time after a year and a half! It’s such a challenge! Seriously, the ADD mixed with the work overload isn’t working. I don’t know how you find time to do it all! Finding work/life balance is a challenge isn’t it?! I know I’ve been struggling with that one for a while. I’ll be focused on sorting that out too this year. Along with growing my own blog and business. 2016 is going to be HUGE! Thanks Diane! It looks like we have identical goals 🙂 Good luck! These are some great goals! I’m still in awe of how far you’ve come just last year. I’ve been blogging since late 2014 and consistency is the hardest part. Life just keeps getting in the way. Great list of goals. You have put together an action plan to help you reach them, which is important. For 2016 I want to grow my blog and interact more with readers. It’s hard to balance with working full time and having a family. I write a little bit everyday to help make it work. I’m right there with you Tisha! My post on my schedule as a Part Time Blogger shows how toughit is working full time and blogging. I think having a family in the mix would be tough. Good luck this year!! What a great list of goals. You make me want to work harder. I can’t tell you how refreshing it is to read a list of goals (resolutions?) that improve you as a person not just physical appearance (I feel like every list I see is weight loss related)! Thank you for that. And love the idea of more travel. Where to first? But as you know I’m finally farming out more work for things like Pinterest to help my goal to grow my blog. My goals are small, but if I start hitting them, I’ll up the ante. For the record, I work out around 1:30 or 2:30 most days. It works well for me. It gives me time to wake up and actually get some work done and even a nap, if necessary. But I’m not too tired to get anything done. Yes you bet;) It’s tough figuring out what to spend money on for outsourcing! But I’m finding the pros far outweigh the cons. That’s nice to hear somebody else stops everything to workout in the afternoon. I like the break and just don’t see myself getting up super early or going late at night for right now. Sounds like an awesome plan! I think it’s hard for freelancers to find balance because they are always “on”, so I hope you find that this year! Congrats on all the success you’ve had! So true. My brain is always on and so is my work mindset. Seriously don’t know how to shut it down! Congrats again on the product release! That is so amazing! I found posting twice a week to be my sweet spot when my schedule started filling up last year. I’m also working on work-life balance this year and a lot of similar goals. For me it’s finding ways to work less and earn more. The dream right? haha. Yes!! I need to work less and make more money 🙂 I find posting 2x a week to be much more doable and still fun. It was hard working in posting 3x a week and not feeling like it was a chore! Great goals for 2016! You’re super inspiring!